Adam J. Tabak – Coveler and Peeler, P.C. Mr. Tabak joined the firm as an Associate in February 2016. His practice centers around advising Emergency Service Districts and other special purpose district clients in Harris, Galveston and Brazoria counties. For these clients, he attends monthly Board meetings as well as special meetings serving as a counselor and legal advisor to the Board. In addition, he handles the litigation matters for the firm’s clients when the need arises. This ranges from directly litigating on behalf of the clients to managing outside counsel retained by the clients. 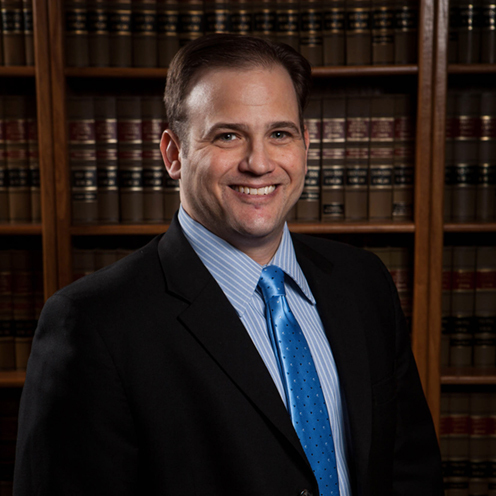 To keep his litigation skills sharp, he also takes on commercial and civil litigation cases for private clients. He began his career as a lawyer in public service by working for the citizens of Texas as a prosecutor in Henderson and Montgomery Counties where he tried many cases to a jury. He then moved into private practice where his trial skills were put to work handling, among other things, insurance defense, commercial litigation, contract disputes, commercial collections, real estate and personal injury cases for many different clients all around Texas. This experience gives him a unique perspective when advising his clients today. Mr. Tabak was admitted to the State Bar of Texas in November 2000. Additionally, he is admitted to practice in the Southern District of Texas and Tax Court. For his undergraduate education, Mr. Tabak attended Indiana University in Bloomington, Indiana where he rode in the Little 500, wrote for the Arbutus Society and was active in the Zeta Beta Tau fraternity. Mr. Tabak then attended South Texas College of Law, graduating in 2000. Mr. Tabak was born in Indianapolis, Indiana. After moving to the Houston area in 1978, he lived in Sugar Land, Texas and considers himself a proud Texan. He has been married to Megan since 2009. Together, they have a daughter, two dogs and a cat. When time permits, Mr. Tabak enjoys cycling, working out and watching movies.